Many semi-detached properties are located in convenient but noisy locations. Typically the wall construction is double-brick which makes the acoustic weak link the windows and doors. We have developed a range of specific noise reduction solutions for semis where we can supply and fit soundproof windows and soundproof doors to improve your quality of life. Secondary Glazing. 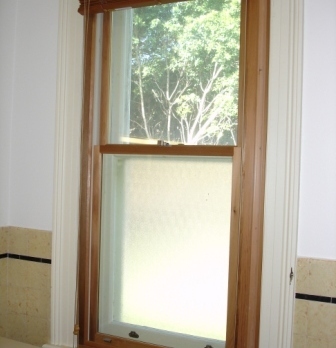 Providing there is sufficient depth within your existing reveals we will install a secondary window system inside your timber casement or double-hung windows. This method will not alter the external facade, provides a very high level of noise reduction and is significantly cheaper than full replacement. Replacement Windows. 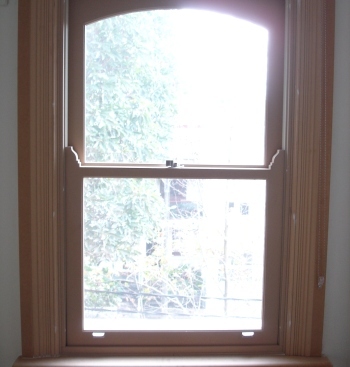 If your existing windows are in poor condition or a secondary glazing system is not practical we can install new windows to replace the existing. Whether you want to enhance the period architecture with custom cedar joinery to match the original design or modernize with aluminium frames, we have the solution. Entry Doors. Gaps below and around your front door are the major area of sound intrusion. We seal the perimeter and bottom of the door with commercial grade acoustic seals. We can also provide an even higher level of noise reduction by replacing your existing door with a solid core, acoustically double-glazed door. 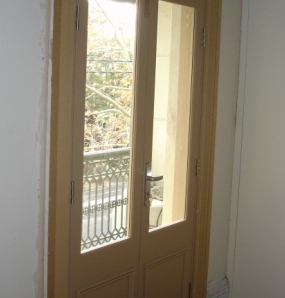 We custom make your new door to match the existing design or any new design you prefer. When you are renovating your semi you want to ensure that the style and beauty of your home is not compromised in any way by the soundproofing process. We can design, build and install windows that match the existing architecture. The noise out on the street is a lot more than it was when your semi was built so you need to improve the sound insulation with better doors. We can design, manufacture and install soundproof doors that exactly match the original with much better acoustic properties.